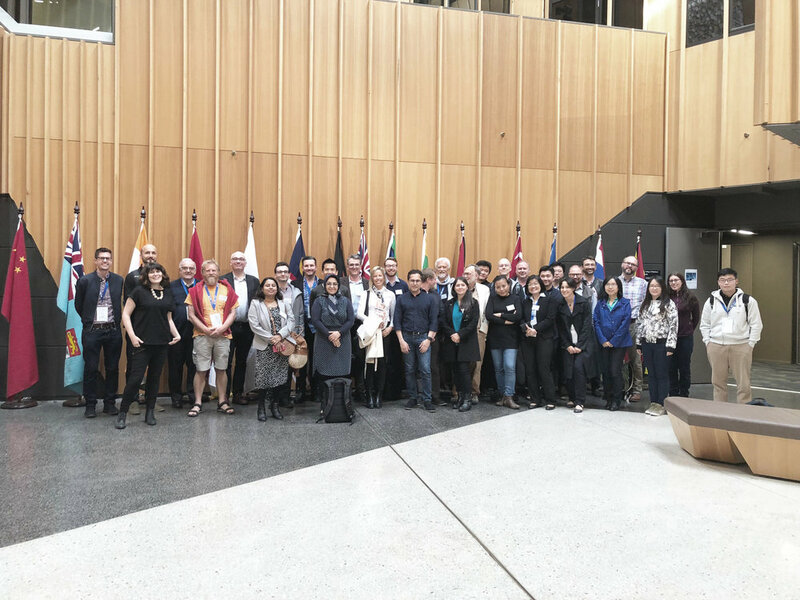 The conference was successfully held on 27-28 November 2018, at The Australian National University in Canberra. 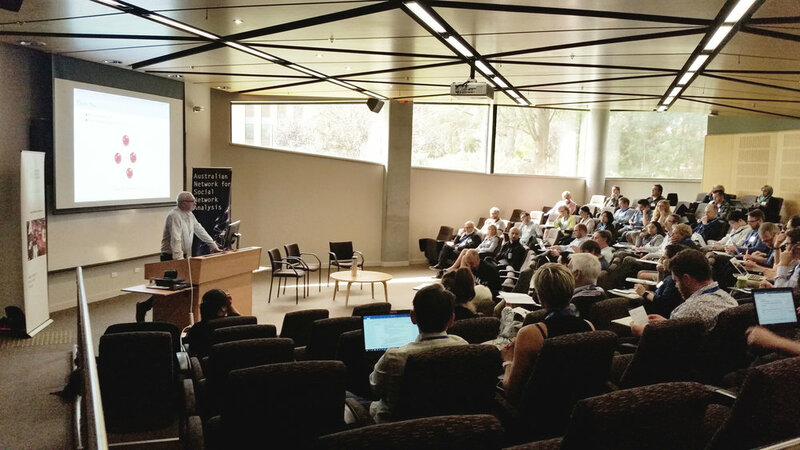 ASNAC 2018 marked the third national meeting in Australia for social network analysis (SNA) researchers and practitioners. The VOSON Lab and the ANU School of Sociology hosted ASNAC 2018. The conference, organised by the Australian Network for Social Network Analysis, aims to foster collaboration and coordination among those researching social networks in Australia and neighbouring countries, in order to explore key issues and research advance in social network analysis. The participants included academics, doctoral students and researchers in industry who are working on the theory, method and application of social network analysis. The conference intends to build greater coordination and collaboration among social network researchers and practitioners in Australia and overseas, and raise the profile of Australian social network research nationally and internationally. We were pleased to welcome as the keynote speaker for ASNAC 2018 PROFESSOR MARK TRANMER, School of Social and Political Sciences, University of Glasgow. Mark Tranmer is a Professor of Quantitative Social Science, at the School of Social & Political Science, University of Glasgow. 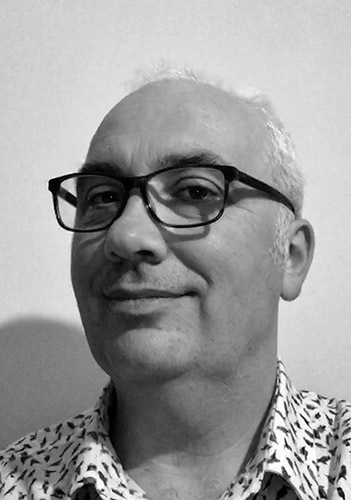 He leads the Glasgow Quantitative Methods Group (GQMG), which promotes the interdisciplinary use of quantitative methods in research & teaching. His methodological research focus began in multilevel modelling, including the development of an approach to combine individual and aggregate data to assess individual and area variations in social, political and health variables. Recently, he has been interested in developing multilevel approaches for assessing the way in which the attributes of a network node (e.g. educational, health, and well-being measures for a person) co-vary with the attributes of other nodes to which they are connected (e.g. through friendship). He has further extended these approaches to assess changes over time in these variations. Another of his recent research interests is the application of the Relational Event Model (REM) to assess persistence and reciprocity of social interactions over time, as well as the use of the REM for model-based approaches to the analysis of sequences, such as the life course, and its association with the health and well-being of people in later life. This conference is fully endorsed by INSNA (International Network for Social Network Analysis). We invite all participants to join INSNA and to participate in the signature Sunbelt Conferences (the next one is 18-23 June, 2019 in Montreal, Canada). Poster and Tool demonstration sessions.